Remember that the decision that you are making regarding a new puppy is one that will affect both your family and the puppy for many years to come. You should be careful, don’t shop impulsively, and make sure you are getting a healthy dog. Your investment in time and money while looking for that special dog will be well worth it. On the other hand if you simply go pick that puppy in the pet shop window, you may be in for years of heartache as you care for an unhealthy, lame or blind pet. How do you go about finding a puppy? Who will be the primary caretaker (be realistic)? What breed suits the family schedule, interests, home, yard, resources? Talk to people who own the breed you’re interested in so you can become better informed about breed characteristics, temperament, special needs, etc. Locate a breeder who has a conscientious breeding program, who will patiently answer your questions and who may offer guarantees or a contract (see our Breeder Referral pages, contact local owners, ask local veterinarians). It is always a good idea to see the sire and dam of a litter. More often than not, the temperament of the parents is a good indicator of your puppy’s temperament. Visiting the home where the puppies were raised will also give you some indication of the care the breeder has taken to produce healthy puppies. Look for clean puppies raised in a clean environment. NEVER purchase a dog from a commercial source. This includes pet stores, brokers, import dealers, or breeders with commercial licenses! Be leery of web sites offering puppies for sale; especially if they claim to have a ready supply of dogs to be shipped nationwide. They are likely to be puppy mills and frequently exist only to take your money. Commercial sources of pets are in the business to make a profit. In general, pet stores and other commercial concerns purchase dogs from breeders who almost always operate puppy mills. 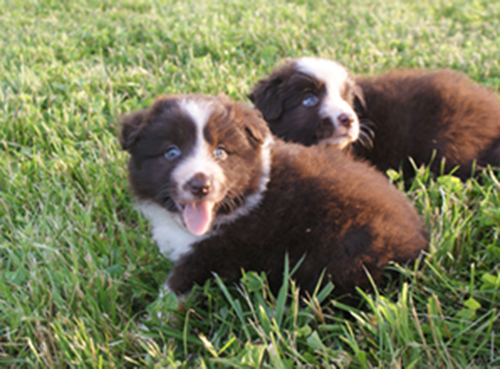 These breeders breed dogs in volume with no regard to producing healthy, quality specimens of the breed. In addition several pet outlets operate “farms” which is just another word for a puppy mill. They purchase a few dogs, often of poor quality, breed them as often as possible, and raise the puppies under deplorable conditions. You would be much better served going to a local animal shelter and rescuing a puppy or contacting a rescue group for help in locating a dog than taking the huge risk that buying from a commercial source represents. So How Much is that Doggie in the Window?? $300 Special training to deal with dog’s aggressive temperament.